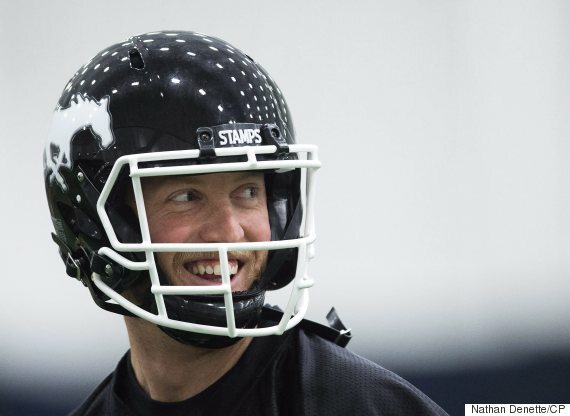 Stampeders quarterback Bo Levi Mitchell was a picture of confidence in Saturday's walkthrough. He has every reason to feel ready for the big game. Mitchell was a dominant 15-1-1 under centre this season and threw a CFL-best 32 touchdown passes. The league's most outstanding player didn't let up in the West final against B.C., leading his team to a 32-0 halftime lead en route to a comfortable 42-15 victory. 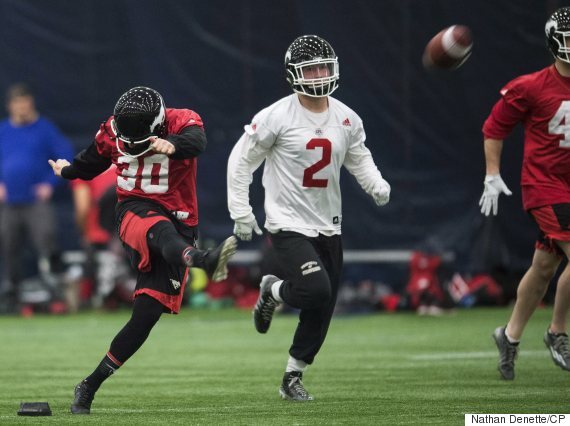 The Redblacks, meanwhile, will try to take advantage of a Calgary offensive line that has been weakened by injuries. Stampeders head coach Dave Dickenson said lineman Quinn Smith may have to play on both sides of the ball. The weatherman is expected to co-operate on Sunday evening. The temperature will likely hover around the freezing mark at game time and there is a slight chance of precipitation. But wind could be a factor at the lakefront stadium. Gusts of around 20 km/h are expected in the city but the wind could be a lot stiffer coming in off Lake Ontario. Chances are good that it will feel more like a home game for the Redblacks than the Stampeders. Calgary fans travel well but Ottawa is only five hours by car from Toronto. About 7,000 seats have been added to BMO Field for the championship game, increasing stadium capacity to about 35,000. Tickets were still available on the eve of the game but organizers have said they expect a sellout. Don't expect the Stampeders to treat the Redblacks like 10-point underdogs, even if that's where the Vegas oddline sits. The Calgary-as-heavy-favourite theme was a running topic during Grey Cup week. The Stampeders were a dominant 15-2-1 during the regular season while Ottawa posted a mediocre 8-9-1 mark. But Redblacks defensive back Abdul Kanneh said his team has been proving people wrong all year and plans to do it one more time. "When the money's on the line, the red and black mafia are going to shine," he said after Saturday's walkthrough. This will be the first time the Grey Cup has been played at BMO Field, the new home of the Toronto Argonauts. It's a natural grass facility but artificial turf is used on parts of the field. Turf is used in the north end zone. The artificial surface actually begins about a quarter-yard off the goal line. Natural grass extends through most of the south end zone. Turf is used over a five-yard section along the back end of the zone. The Grey Cup starts at 6 pm ET at BMO Field in Toronto.